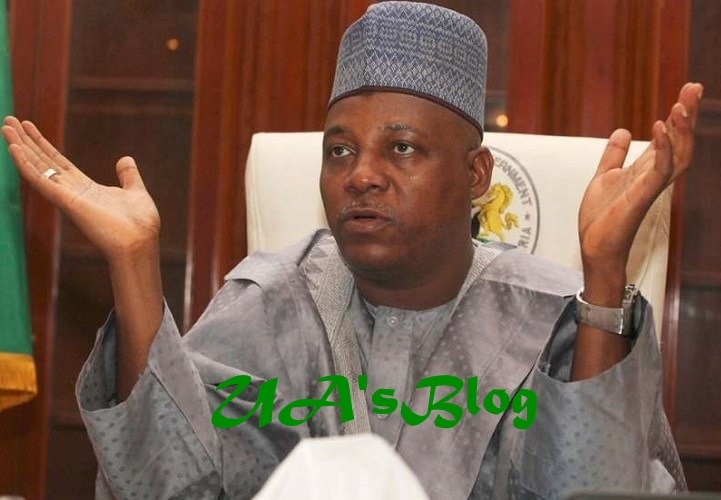 Kashim Shettima, governor of Borno state, has described the book by the former President Goodluck Jonathan as a presidential tale by midday”, adding that he deliberately omitted facts about the abduction of Chibok girls. Ujuayalogu'sBlog reports the former president on Tuesday, launched a book titled ‘My Transition Hours’, in which he wrote about issues concerning his administration. However, in a statement on Wednesday by Isa Gusau, special adviser on communications and strategy to Governor, Shettima, he said the former president attempted to sweep under the carpet a report submitted to him by an investigative committee in June 2014 about the abduction of April 2014. The governor was reacting to the allegations raised in chapter four of the book titled ‘The Chibok school girls affair’ that the abduction was a product of a conspiracy by the then opposition All Progressives Congress (APC) in connivance with Borno state government. “The former President’s elementary book of tales fell short of the courage required of him to publish findings by his own panel in chapter four of his book,” Shettima said. “President Jonathan has refused to make public the findings submitted to him. I was expecting the findings in his book but he has deliberately swept that report under the carpet. The governor stated that by refusing to publish any part of his own panel’s findings on the Chibok abduction, Jonathan’s book was nothing short of “a presidential tale by midday”. Shettima advised Jonathan to write a second book on account of his presidency which should contain the facts as they were presented to him, regarding the Chibok abduction rather than the fiction he made public on Tuesday.